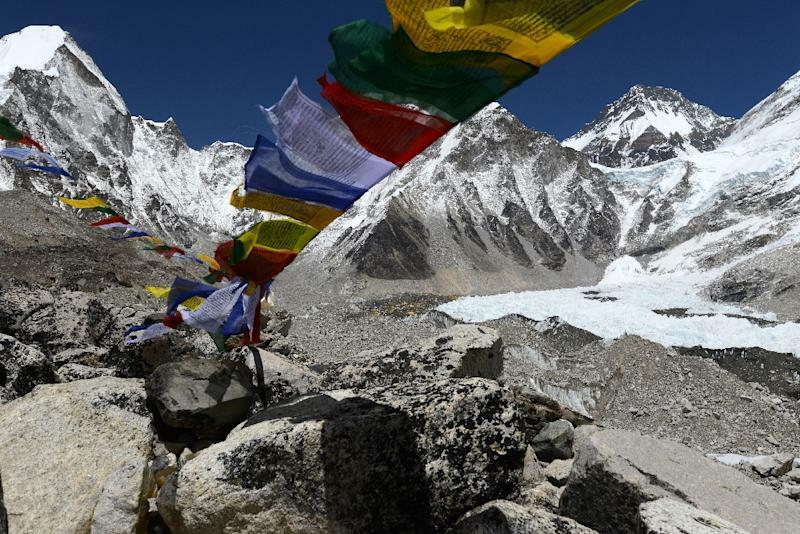 A promotional stunt by an Irish tech company to bury $100,000 worth of a new cryptocurrency at Everest's summit has been linked to the death of a Sherpa guide, the company said Saturday. Social networking startup Ask.fm has become embroiled in controversy after a Sherpa who guided four climbers sponsored by the company went missing near the peak's summit in mid-May. "We are now aware that one of the Sherpas who assisted our group amongst others, went missing during the descent," the company said in a statement. Lama Babu Sherpa has not been seen since 14 May and is presumed dead, Nepal-based Seven Summit Treks, who organised the logistics for the expedition, told AFP. One of the guide's crampons and his backpack were found but his body has not been located. The startup -- which is based in Latvia and Ukraine -- backed four Ukrainian "crypto enthusiasts" to climb the world's highest peak carrying two smart cards loaded with one million tokens of the company's yet-to-be released cryptocurrency. Three of the sponsored climbers reached the summit of the 8,848-metre (29,029-foot) mountain and buried one of the smart cards. "You can come and take them if you can," climber Taras Pozdnii said in a video purportedly shot at the summit and posted on Youtube by the company. Pozdnii told AFP that the missing guide was not always part of their team, but he had seen him at the summit. "He was behind us when coming back. I don't know what happened with him,” Pozdnii said by phone. The team was hit by strong winds during their descent, with Pozdnii suffering frostbite on his hands and feet and eventually being airlifted to the capital Kathmandu. Ask.fm said the tokens in the two ledger wallets were worth $100,000, though this estimate is not based on actual market data since the company has not yet made its initial coin offering (ICO). Sherpas regard Everest as a sacred peak, and believe that a powerful goddess called Miyolangsangma lives at the mountain's summit. Reports of climbers -- including Sherpas -- pulling headline-grabbing stunts on Everest have in the past prompted complaints they were defiling the peak. Over 400 people have reached Everest's summit this month during the busy spring climbing season when warmer temperatures and calmer winds typically open the route to the top of the world.